This parcel was purchased by the Town in 2011. 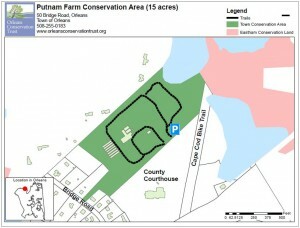 In 2012 the Town, OCT, AmeriCorps Cape Cod and community volunteers worked to rehabilitation and restoration the ecological integrity of the site, which was formally used for farming. This was important because the Historical Commission identified the parcel to be “significant to the history of the Town of Orleans”. Today the parcel is being maintained as an early succession field habitat. Directions: From Orleans center, head south on Rt. 28 towards Eastham (0.4 miles). Merge onto Rt.6A south and follow to the rotary. Take the second exit onto Smith Lane and take a quick left onto Rock Harbor Road. Follow for .2 miles and take a right into the court house. 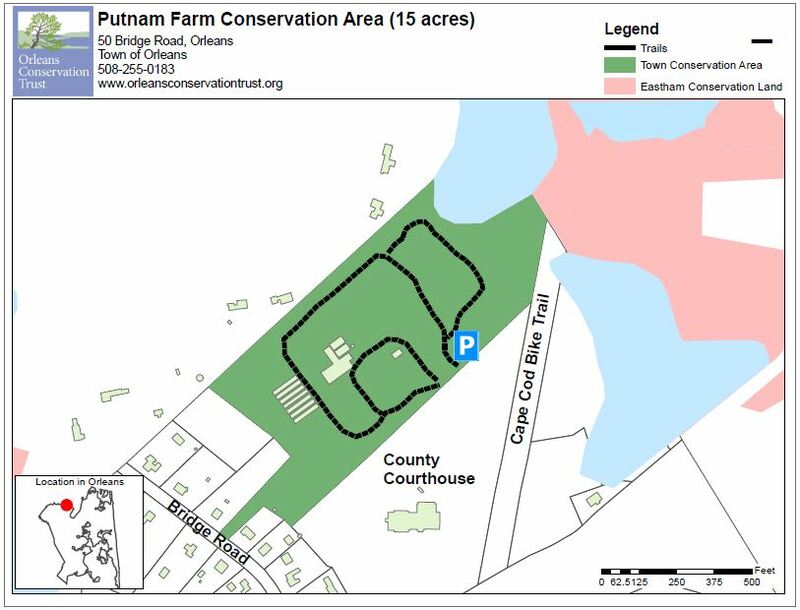 Follow parking area to the back of the court house and enter conservation area via a dirt road.